This post’s theme: stopping place. When you pause while reading a book, where do you stop? At the end of a chapter? Page? Paragraph? Sentence? Or absolutely wherever you happen to be when you decide to stop reading? This is kind of a funny topic for me, because I didn’t realize I was unusual until this came up with a group of readers. Most people I know stop whenever, wherever the urge strikes them. I, however, am a little compulsive about where I stop reading. Ideally, I like to pause at the end of a chapter (which is why I find myself so frustrated with the technique of ending chapters on cliffhangers)...but chapter length varies widely from book to book. I’ve read books where committing to a chapter means committing to another 100 pages! So most often I read to the end of a page. Worst case scenario: if I’m interrupted while reading, I still finish my paragraph or at least sentence before addressing whomever or whatever interrupted me. How about you? Are you compulsive like me about your stopping place or are you laughing at the thought of putting so much thought into this? What a wonderfully sweet and whimsical story. And what a perfect title! 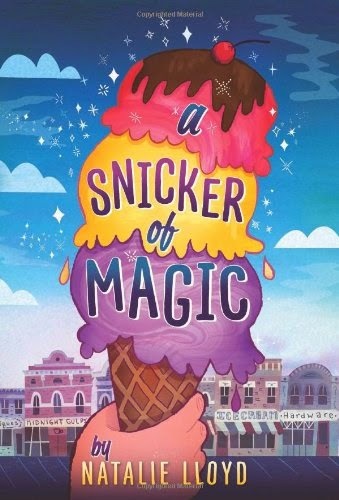 A SNICKER OF MAGIC isn’t what I would call a fantasy novel; it’s more like magical realism with a teaspoon or two of enchantment thrown into the mundane. 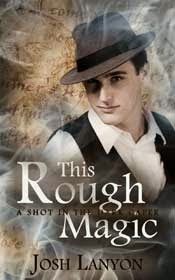 The magic feels a little strange and abstract and like it’s not meant to be closely analyzed but viewed from a distance as flexible metaphors. The magic isn’t necessarily logical, because the story’s more about the characters and the mysterious wonder of these strange happenings. Felicity Pickle has returned with her mama, little sister Frannie Jo, and their dog Biscuit to her mother’s hometown where they stay with Felicity’s aunt Cleo. Felicity’s mama has a wandering heart, as people like to say. Their family never stays anywhere for long before she’s packing them all up again, and Felicity’s heartfelt yearning to settle somewhere tugged at my sentimental side in the very first chapter. She befriends someone special at school and soon her new friend convinces Felicity to enter a school competition. Despite some serious public speaking anxiety, she agrees mostly in an effort to convince her mama that they have to stay at least until the competition. See, Felicity has a magical gift of her own. She can see words. They hover around people, each one distinct and inventively animated. I adored Lloyd’s (or Felicity’s) descriptions of the words. As one example, consider how she captures the word “believe”: “The letters were made of melted sunshine. They dripped down the window glass, warm and tingly against our faces.” This is what I mean by the book being more magical realism than fantasy. Felicity’s word gift isn’t logically explained or dissected as a kind of magical system or fantastical worldbuilding effort, and it doesn’t serve much purpose except as both a blessing and a burden for Felicity - blessing by making her special and burden by making her different. Lloyd has a word knack of her own. In full honesty, I didn’t find the story that captivating on its own. Don’t get me wrong - it’s a good story, but it’s not remarkable or gush-worthy. 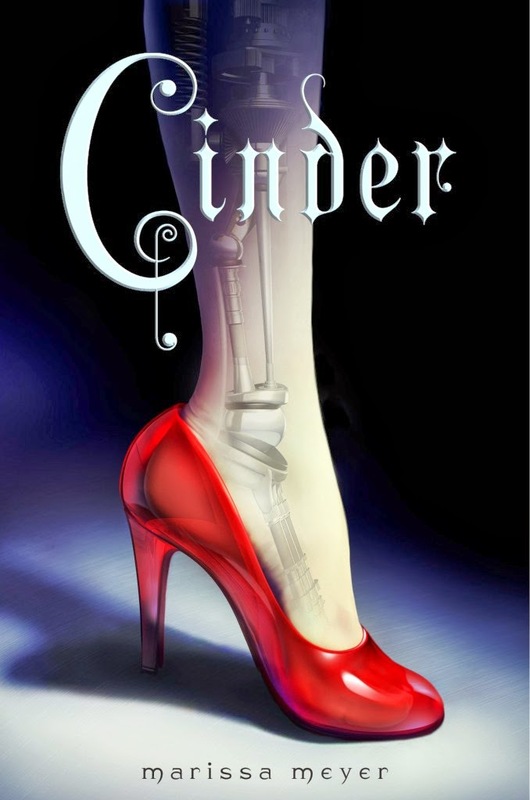 However, I found the writing remarkable and gush-worthy, so much that it elevated everything else about the book. Lloyd’s a little magical with words herself, creating so many apt and unique descriptions and metaphors. Consider Felicity’s observation of her mother’s eye color: “Her eyes used to be as bright blue as a summer sky, but now they looked like jeans faded from too many tumbles through a washing machine." This talent’s especially apparent in characterizing the words Felicity sees everywhere she goes. Naturally, I consider great writing particularly important in a book that focuses on words and Lloyd certainly doesn’t disappoint. Really my only small criticism is that I struggled pinpointing Felicity’s age. I’m sure Lloyd mentioned it early on, but I think only once or twice. I didn’t absorb the information and tried going back and re-reading earlier chapters for her age but couldn’t find it. I’m guessing pre-teen, around 12. I would be surprised if it’s any older than that and not terribly shocked if she’s actually as young as 8. That’s a wide range and the age doubt could be a little confusing. That note aside, what a splendiferous book! I devoured the first two books in this trilogy, so I jumped eagerly into this final installment as soon as I snagged a copy. For this series, Paul has created a masterful blend of genre elements, including young adult, mystery, historical fiction, romance, and suspense. Basically, she’s telling the story as it should be told without worrying too much about stuffing the book into a particular label. While still good, I’m afraid STARLING didn’t quite live up to its predecessors. In the first two books, I found the writing so natural that it faded into the background, leaving the spotlight for the story. This third book had some phrasing here and there awkward or clumsy enough to halt my reading. Sadly, there’s also an abundance of cheesy, cliché, or otherwise cringe-worthy dialogue that detracts from what could have been far more engaging scenes. Rest assured that STARLING addresses pretty much every single one of the many interwoven plot threads before concluding. Unfortunately, many resolutions didn’t fully satisfy me; either they don’t answer all my questions or they feel forced or unbelievable. Despite a review that feels like it’s leaning more towards the negative, I did enjoy this book - in fact, found it difficult to pull down even when criticisms popped into my mind. I describe THE SECRETS OF THE ENTERNAL ROSE series more as fluff reading than great works of literature. Nevertheless, the first two felt like the very best of fluff reading - with great writing, distinct and complicated characters, and an unpredictable plot. I might not recommend STARLING as highly on its own, but it’s a must read for anyone wanting to know how the trilogy ends. I do want to say that Paul’s series has one of the few love triangles that held my interest...but again that lessened in the third book. Part of why I invested in this trilogy is how entirely I understand what Cass sees in these very different men, including how they appeal to different parts of herself. Of course, the more she bounces from one to one (the most deciding factor usually being which guy she spoke with last) the more I wonder if she deserves either. 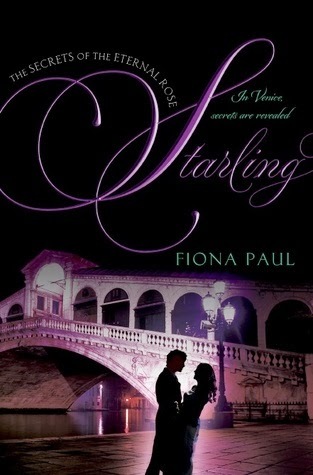 Though not quite as pulled together as the earlier books, I would still recommend STARLING to anyone who enjoyed the first two in the series. My overall impressions of Mosse’s latest book line up with what I consistently say about her work: mediocre writing but brilliant story. As always, some strange gimmicks in the writing (like the phrase “the woman known as Sophie” used in place of the name “Sophie” in the opening, not once but repeatedly) as well as clumsy or grammatically inaccurate sentences distracted me at first. Like I experienced with the first in this trilogy, LABYRINTH, though, once the plot sucked me in I stopped my nitpicking and hardly noticed the writing anymore. Also like LABYRINTH and SEPULCHRE, I found myself increasingly engaged as the story continued: apathetic in the prologue, lukewarm near the beginning, intrigued well before the middle, committed by the halfway point, and zealous as I neared the end. Though it’s no SONG OF ICE AND FIRE, there are a lot of characters in these books. I did occasionally struggle keeping track of who’s who, but thankfully that was more in the beginning than as I kept reading. What throws me more is the connection between these books. LABYRINTH, SEPULCHRE, and CITADEL are technically a series, though doubtless one of the most loosely connected series I have ever read. (You can easily read one of them at random without reading either of the others.) Set in entirely different time periods, very few characters carry over. Unfortunately, probably due in part to how long it was between books for me, I often found myself fighting to keep the wider arching plot lines over all three books straight in my head. I often worried that I’m missing something, a frustrating feeling for the reader. The extremely short chapters make this chunky tome of nearly 700 pages a much faster, easier read than it looks from the outside. A long chapter might be five pages. Chapters this short aren’t for everyone, but I definitely think the style works for this book. Mosse always anchors these novels in rich historical context. Her intensive research shines through without the lengthy bibliography in back and she spices most every scene with historical details. Set in France during World War II, CITADEL follows a group of brave, indomitable young women who form their own resistance group…as well as the man determined to destroy them all for both political and personal reasons. I sometimes complain about novels, especially World War II novels, leaning on the pathos of their subject matter rather than creating characters who can win over the reader. 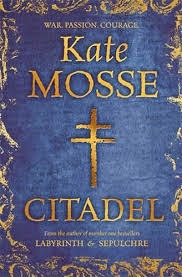 CITADEL does not fall into this pitfall and Mosse has crafted a touching and heart-tugging story about some of the countless individuals swept up in the chaos of war. Perhaps more so than any story I’ve read to date, CITADEL does an amazing (if chilling) job of demonstrating how horror can become mundane…which is really a new kind of horror in itself. The character Marianne also presents some wise insight into why seemingly “good” people will turn on their neighbors in ruthless times: many people are prepared to betray a stranger, or even a friend, if they can justify it as protecting their own. “Their own” varies from individual to individual: it could be themselves, their spouse or lover, their children, their family, etc. The ones least likely to commit these kinds of betrayals are those who cast the widest net in defining “their own,” perhaps meaning anyone they’ve ever met personally, anyone from their country, or even any fellow human being. Be warned that Mosse doesn’t sugarcoat the atrocities of war. Minor and major characters alike go through some extreme physical and emotional agony for their cause. I found the ending ideal for this book: a reminder that any individual’s story is one small piece in a greater story about mankind...and it takes a remarkable person to recognize that and sacrifice their own story for the improvement of humanity’s. This post’s theme: marking up books. Do you make notes in the margins of your novels? Circle or highlight favorite quotes? Dog-ear pages? Or do you shudder a little at all those suggestions? I shudder. When people talk about the book as a sacred object, some people mean the intangible story and others the physical book (and many mean both). Countless bibliophiles cherish their favorite tales and consider water damage, food stains, creases, scribbles, etc. proof of how much love they’ve poured into the book, wearing it to shreds with re-reads or taking it all over the place. I, too, value the untouchable story, but I also value the tangible book. I accept slight damages when they come as expected signs that the book is being put to its intended use, but for the most part I try to keep my books in as pristine condition as possible and will never willingly inflict perceived damage such as dog-earing pages, cracking the spine, or writing inside. Of course, my real pet peeve is when others do these things to my books. To each their own summarizes my philosophy on many things and I don’t care if someone wants to highlight or write in their own book even if I would never do so in mine. However, I care very much if they borrow my book and do any of the things I’ve mentioned: write, highlight, dog-ear, crack the spine, etc. This extends from a conversation about books into a more universal discussion about how we should treat each other. Respecting each other’s property has always been an issue for mankind, because we have very different ideas about both the terms “respect” and “property.” People who don’t really think any human can claim something tangible as theirs alone probably don’t think that person can dictate what can be done with that item. More commonly, though, cases of borrowing property turn into conflicts when the borrower treats the item the same way they treat their own...and that’s not the same way the item’s owner treats their stuff. To someone who dog-ears pages rather than using a bookmark, doing so probably doesn’t seem like a big deal. To that person, it isn’t. My opinion, though, is that when you borrow someone’s stuff you should treat it like owner would. Back to books, though, I do grasp the benefits of these practices. Dog-earing pages isn’t only useful as a bookmark substitution, but also for marking favorite lines or parts in a story. Then if you pick the book up later, you can easily flip to these beloved sections. Highlighting serves a similar purpose in singling out esteemed quotes. Writing gives the reader even more freedom to expand with their own reactions and opinions. Some people I know who write in books say they like to re-read the book later and see if they have the same responses. Some add new or differing insight in another color. I also know people who specifically search out used books with writing in them to see how their opinions match up with whatever stranger wrote in the margins. As for cracking the spine, I don’t think people who do so give it much thought. It makes the book easier to read and hold. I do cringe, though, when I see people do this in bookstores by habit and then not buy the book (which returns to the debate about respecting property that isn’t yours). As for food stains and water damage, the real question there is whether it’s more important to you to keep your book in good condition or read it wherever you are, even if that’s in the bathtub or while eating dinner. What about you? Do you do any of these things to your books? Why or why not? 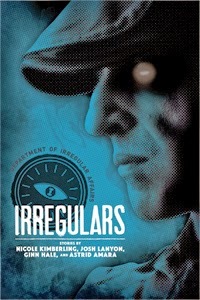 I started this book with no predictions, especially since Tarr avoids a formulaic feel and consistently surprises me. Strangely, I have clashing feelings about my investment level with this series. On the one hand, I didn’t find myself pulled back to the story if I stepped away from it. If I put the book down, it didn’t call me to pick it back up again and I could go quite a while before returning to it. On the other hand, whenever I did pick the book back up again I found myself immediately and entirely invested in the story. 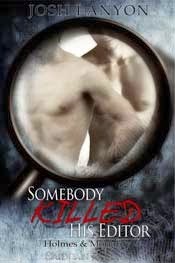 There’s an unclear focus in terms of plot, but characters are doubtless the driving force in this series. Alf is a living riddle: fey raised as a monk. The clash between magic and religion becomes one of the most prominent, metaphoric themes in the entire series. 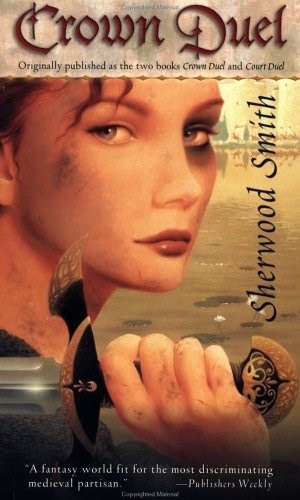 We also met Thea in the first book, THE ISLE OF GLASS, another of Alf’s kind. Alf used to believe himself incapable of desire before meeting Thea and realizing he’s attracted to fey women, not human women. Three main plot threads dominate this second installment: a war, the continuing sexual tension between Alf and Thea, and Alf’s relationships within a family that more or less adopts him. Still a monk at heart, Alf wants to resist any carnal sin, but Thea teases him physically, emotionally, and intellectually. As for the family, Tarr introduces a handful of new and interesting characters, including a deafmute human boy that everyone believes hopelessly dumb but Alf recognizes a power humans can’t sense. The book’s told in short chapters that keep the story clipping along a brisk pace. 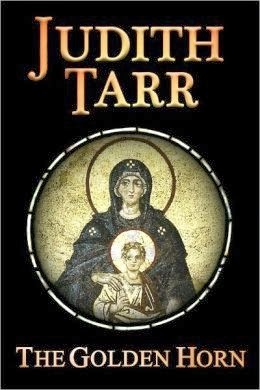 I suspect part of why I don’t feel a siren call luring me back to the book is that Tarr avoids any sensational feel. There aren’t any melodramatic cliffhangers luring the reader along with the promise of satisfied curiosity. Her writing has an understated quality and she’s subtle even when describing big moments. My only complaint there is sometimes I found the phrasing too subtle and often had to read very closely lest I miss something. Again I find myself lacking in predictions about the next book, except that I expect (and hope) there will be more on the boy with unexpected gifts. 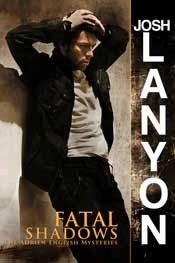 A distinct voice in gay fiction, multi-award-winning author Josh Lanyon has been writing gay mystery, adventure, and romance for over a decade. 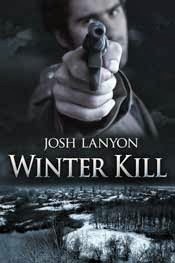 In addition to numerous short stories, novellas, and novels, Josh is the author of the critically acclaimed ADRIEN ENGLISH series, including THE HELL YOU SAY, winner of the 2006 USA Book News award for GLBT Fiction. Josh is an Eppie Award winner and a three-time Lambda Literary Award finalist. I'm just about to start work on a short story set in the 1940s, so I'm reading crime fiction from the 40s to make sure I've got the tone and the feel right. I'm reading Howard Browne, Raoul Whitfield, Frederick Nebel, etc. Oh! That's going back a ways. I don't know. I was one of those kids who was always telling stories to the other kids. From the time I was very small my teachers were telling me I was going to be a writer, so I guess I went with it. I love that almost magical (call it a waking dream state) that takes over when the work is going well. When you really are lost in the story, completely immersed in the world you've created and the lives of your characters. I hate deadlines, but I would get nothing done without them. And I dread the first draft. My first drafts are sheer torture. They are hell to write, I have to drag the words out, my endings are never more than a rough sketch. I write horrible first drafts. I don't know if it's anything as organized as a "process." Basically I get an idea and let it stew for a while. Then I start by jotting down a lot of notes as I do my research, working out some of the general details, and then I start writing my really ugly first draft. I try to write about two thousand words a day. I write most every day. Then I hand it off to my editor and ideally they hang onto it for a week or so, long enough that I can come back to it with fresh eyes. I enjoy the rewrite stage a lot. That's where the magic happens. This week? This week my passion is for Wallace Nutting's tinted photographs, the Lindbergh kidnapping, and Italian cooking. Music in particular. In fact, I usually can't listen to anything with lyrics until the first draft is done. I have different Pandora channels set up for my writing moods. First drafts require something called "Meditation by the Sea." Well, I'm mostly interested in character. All my stories are character driven. And mystery is all about motive and motive is essentially what drives people to do the things they do. The stakes are always high in mysteries, even if the crime isn't murder (though it usually is) and so the things that drive people to crime or to conceal crime are usually - at least in fiction - fascinating. Lanyon answers this question here on his website. How was “Green Glass Beads” born? The poem "Green Glass Beads" is one I remember from my childhood. I always loved it, loved wondering about the mysterious backstory of the nymph and the goblin, wondered about those green glass beads. And I knew I wanted - needed - to come up with some different angle for the anthology, so I thought what if my story was told from the perspective of someone on the other side of the law. Somehow those two ideas meshed. What was it like writing a story for a shared world anthology? Tricky! I'm not used to having to consider the creative ramifications of any of my storytelling choices. That's where having an editor like Nicole is invaluable. She kept us all on track and focused. Of all your published books (and you have a lot! ), do you have a personal favorite? I like different titles for different reasons. Some, like OUT OF THE BLUE or SNOWBALL IN HELL, I'm especially proud of because of the research or the challenge of writing something I really had to stretch for. Some, like the ADRIEN ENGLISH series, I love because of my connection to the characters. Don't be satisfied with "good enough." Every single thing you write should be the very best effort you have in you at that time. It won't save you from looking back at earlier work and wincing, but you can reassure yourself that you did the best work you were capable of. That means a lot.